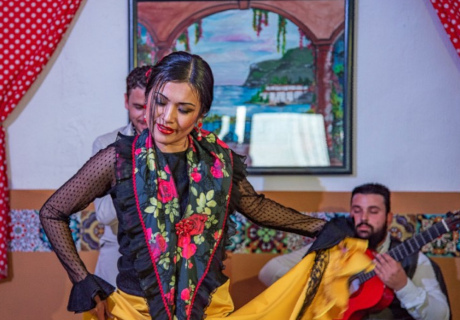 “Flamenco Tradicional”: This performance in Flamenco Benalmádena lasts over an hour and features between three and four artists. The show is executed in a traditional way: personal and different from other shows. All of the artists are strictly selected, professional, and have been performing in theatres in Spain as well as overseas ensuring an unforgettable experience. Center stage are the talents of Jaime Fresnada and Asami Ikeda. Fresnada, also known in the flamenco world as "El Estampio" (The Stampede), is originally from La Mancha. 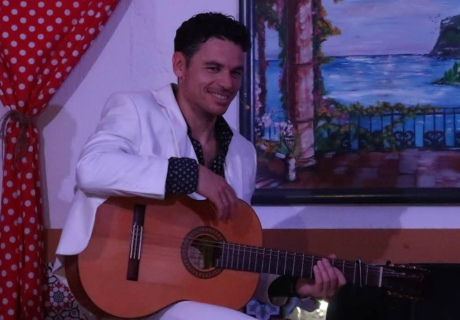 His intense passion for flamenco took him to Seville, Andalucia, for several years training and performing alongside renowned gypsy dancer and teacher Jose Galván, father of the internationally famous dancers Israel and Pastora Galván. 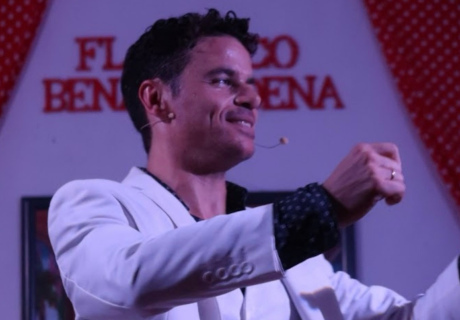 He has also collaborated, travelled and taught Jose Suárez (El Torombo). Asami Ikeda has been dancing flamenco for almost 10 years. 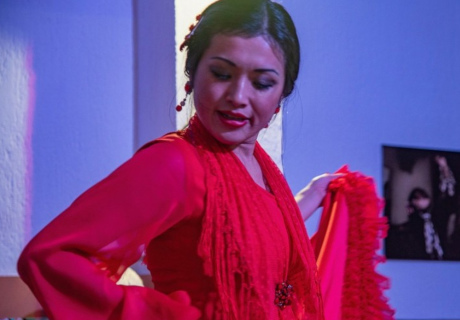 Having started in Japan, as with many other prestigious Japanese flamenco dancers, she made the decision to perfect her art by travelling to London and Andalucia. In Seville she was invited to collaborate and further train under "El Estampio" before launching her own professional dancing career. 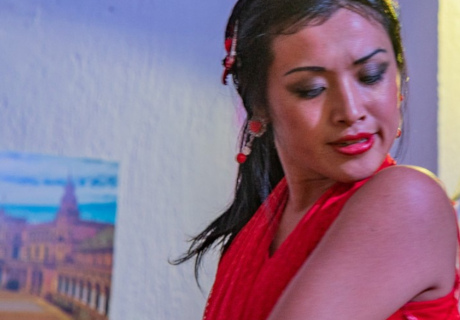 Asami mixes the gift for attention to detail and purity of movement with an extraordinary fiery temperament, to bring to life on stage the archetypal flamenco gypsy spirit.